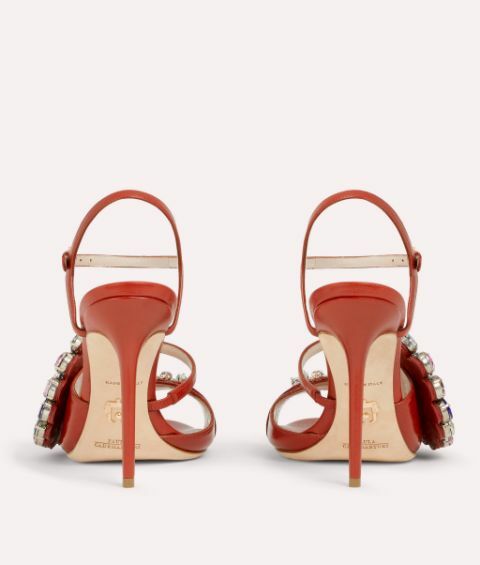 In deepest red, this stunning version of Blossom captures Paula Cademartori's ethos of beauty and power combined. 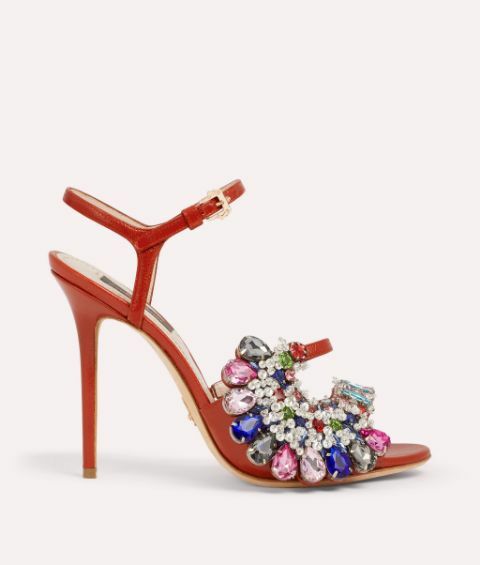 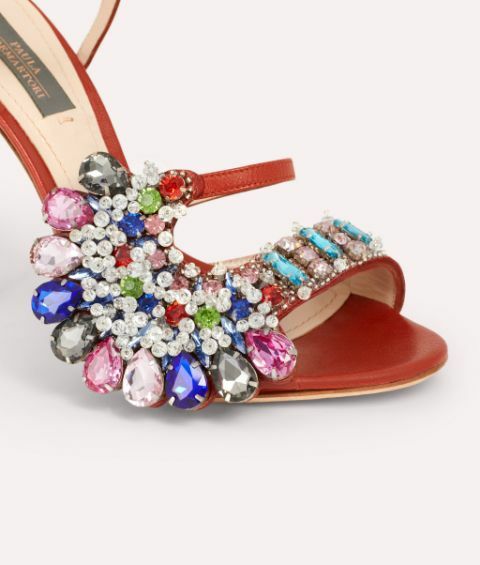 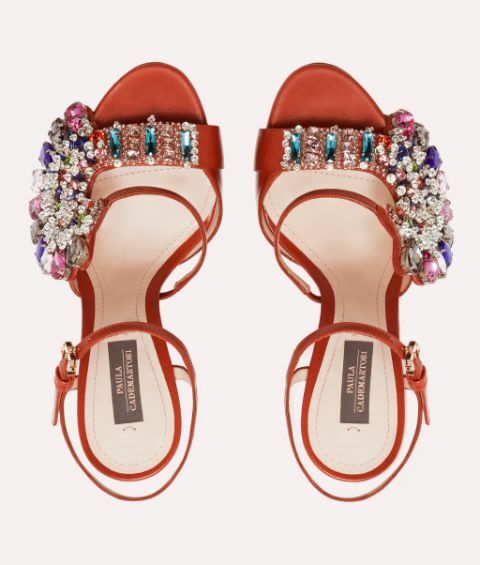 Embellished with a cluster of faceted crystals, this sleek leather pair is certain to catch the lights. 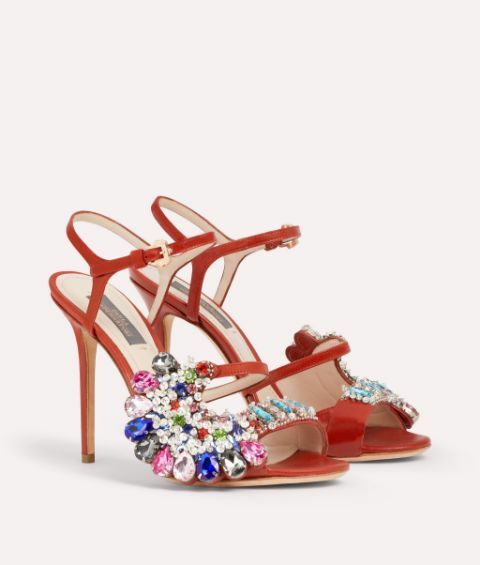 Showcase the vertiginous heels with a sweeping gown or contemporary separates – you'll turn heads with every step.